The Atlassian success story started with JIRA (JIRA Software, JIRA Service Desk and JIRA Core), but it did not end there. 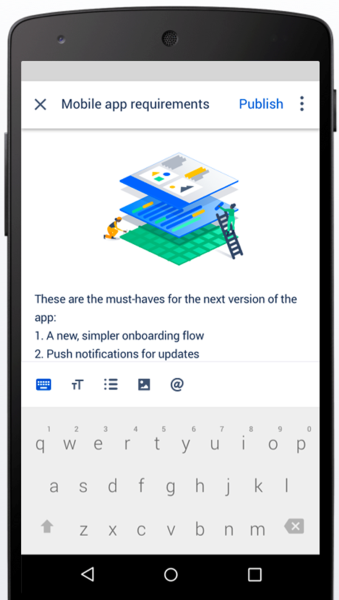 Confluence is a great companion to any JIRA installation, and Confluence has its own merits making it a highly desirable tool also in teams where JIRA is not yet used. 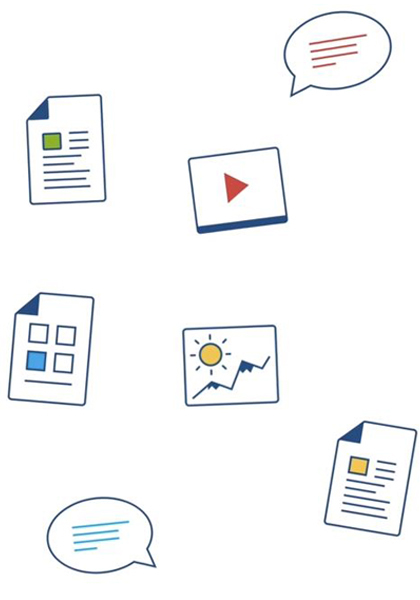 Confluence is about projects, documents and ideas, made better by working together. Create meeting notes, project plans, product requirements and more. Use multimedia and dynamic content to make your work come to life. Leave feedback on the work itself by commenting on any Confluence page, with inline, page and file comments. In this way, your team can avoid wasting time on searching for feedback in emails and chat conversations. Give every team, department and major project a space for sharing knowledge and keeping work organized. With a structured hierarchy and a powerful search, it is easy and quick to find the information you need. Create, edit, share and collaborate. Access to all your Confluence spaces. Comment, like and share on the go. The team’s single source of truth for managing team leave, tracking JIRA Software projects and planning events. Harness the power of the crowd: Ask for information you are missing to get your work done, and get answers quickly. The best answer rises to the top through voting. Leave feedback on the work itself: Inline, page and file comments. Create a space for every team, department, or major project to share knowledge, information and keep work organized. Keep customers and employees informed during downtime.